The world needs to take a deep breath. Stress is unbelievably high, chronic disease is becoming more prevalent (and at earlier ages), and it sometimes feels like the whole world is going to hell in a handbag. Perhaps it’s time to take a chill pill. Maybe we need to shut off the TV. Perhaps we should investigate ways to support our body physically and mentally, to help offset the constant onslaught of toxic thoughts, food, air, water, and medications. Or, perhaps we need just a few more mushrooms in our life. What are medicinal mushrooms and how can they help you? There are several types of medicinal mushrooms, but some of the most common and effective are reishi, chaga, agaricus blazei, cordyceps, maitake, shiitake, turkey tail, and lion’s mane. You will commonly find them in powder, capsule, or tincture format, and being used in teas, coffee, smoothies, and more. 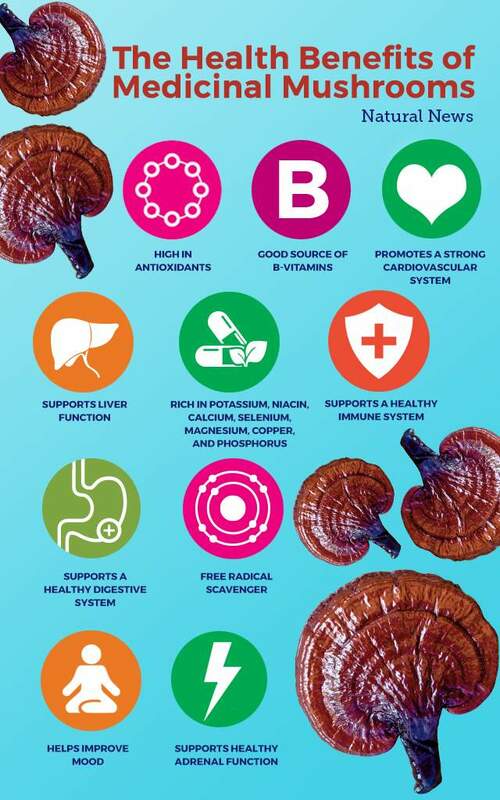 With unprecedented support for all the key functions of the body, it’s no surprise how medicinal mushrooms can have such an obvious impact, especially since they directly address most of the major chronic health issues we are seeing today. However, like with most supplements, one needs to be careful about the source of these medicinal mushrooms to avoid contaminants and optimize the benefits. For example, many medicinal mushroom products come from China, which are grown in toxic mediums that contain alarming levels of heavy metals, like lead. 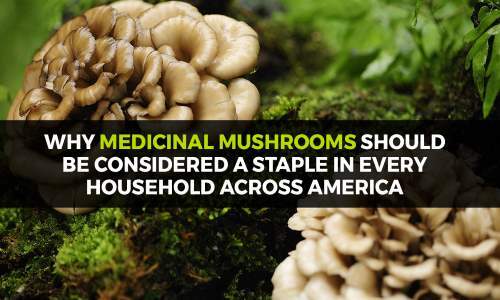 This turns these medicinal mushrooms into a health hazard, which is not what you want when buying supplements! If you want to support U.S. farmers and growers who produce ultra-clean, lab-tested mushrooms, explore the Health Ranger’s Seven Treasures Mushrooms. Combine these medicinal mushrooms with an organic whole foods diet, positive mindset techniques, and daily exercise, and you’ve put together a plan that helps you avoid being another conventional medicine statistic.